DOWNLOAD THIS FREE E-BOOK AND GET: A clear and concise overview, direct from PSMJ’s architecture and engineering industry experts, of the ever popular subject of developing emerging leaders. 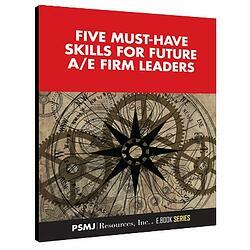 This 45 page e-book gives an overview of the skills needed to develop your firm's top-performing employees. Whether you are trying to become a leader in your firm or are an employer looking to develop leaders for your firm's future success, you will find simple, yet effective leadership development strategies in this e-book. You will discover the things that you are already doing right, as well as the areas that you need to develop further to become a leader within your firm. Before you take the next steps in your career or begin leadership training, make sure to view this FREE e-book!